We offer various Sales & Service at Segway Maui. Have fun in our razor scooters, electric hybrid vehicles, and of course, our Segway’s. 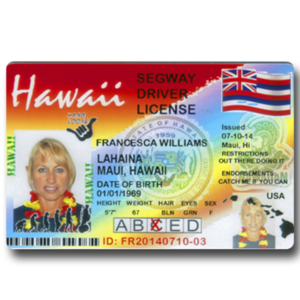 You can find souvenirs to personal transporters in Segway Maui store. Take back what best suits your tastes to remember the exciting Maui vacation by. You can have custom t-shirts or bling your Segway back at home with different colored foils. Get the best deals on the items available with us. You can even buy electric bicycles, Segway PT’s or hybrid bikes and scooters and go green, back home. Flaunt experiences with special licenses or beautifully framed photos. Moreover, you get to reminisce about the phenomenal Maui vacations associated with it. Electric bicycles can be a great asset in your daily lives. A healthy and efficient way to commute to places in your vicinity. You never know when the battery will go out, even then no worries, you can always pedal back to home. The Sales & Service at SegwayMaui.com are not some local vendors where you will be afraid of getting the value for worth. We sell genuine products with all the quality checks done carefully prior to the sale. So, you never have to worry about spending your hard earned money on some counterfeit item. Unique items for unique people.